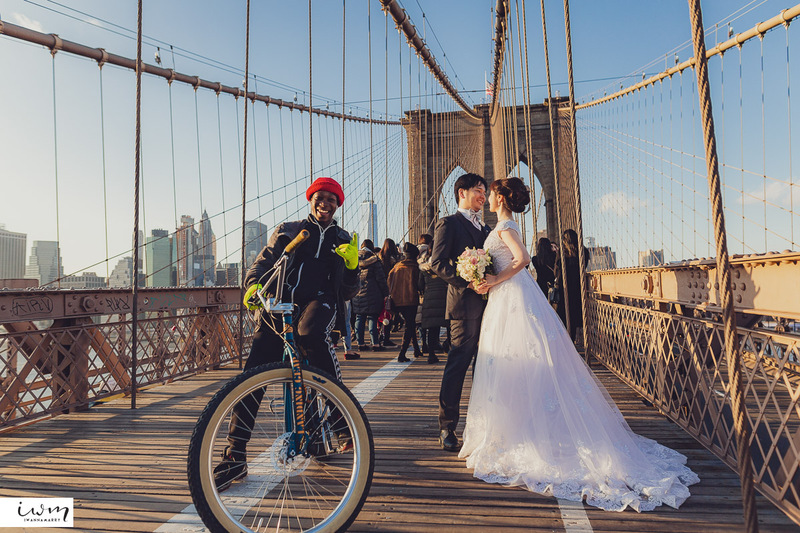 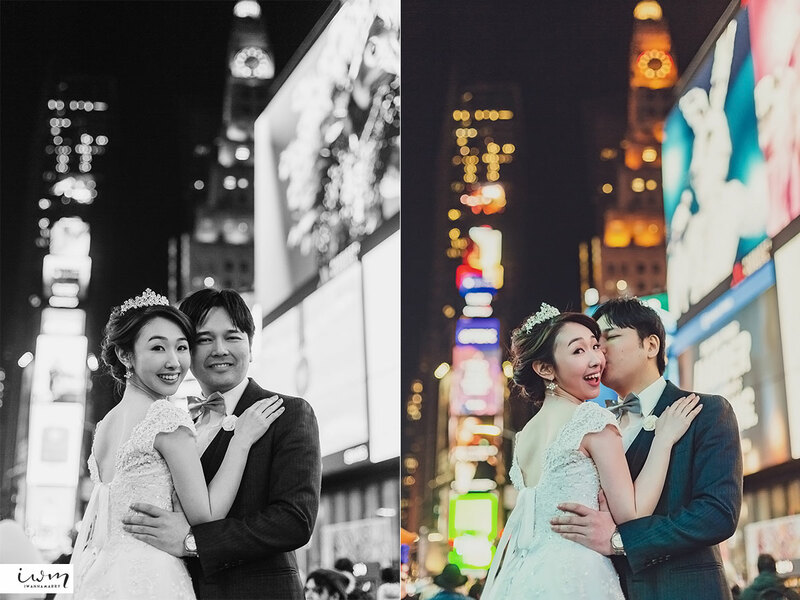 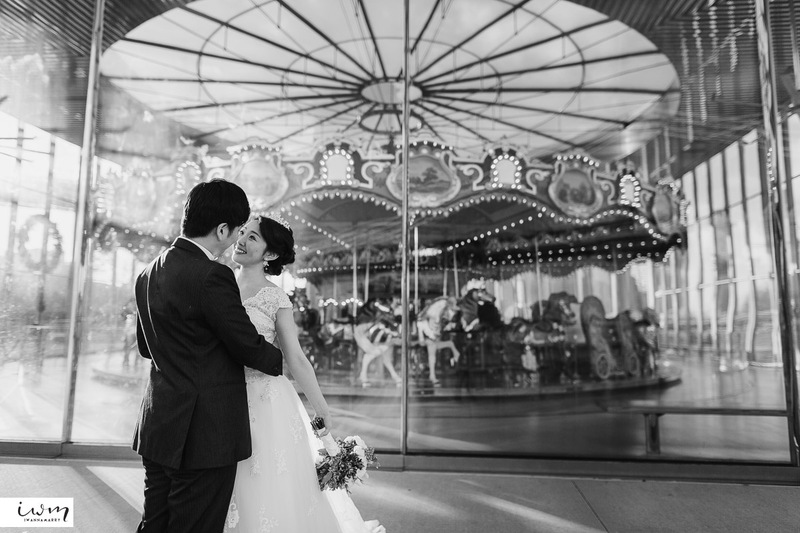 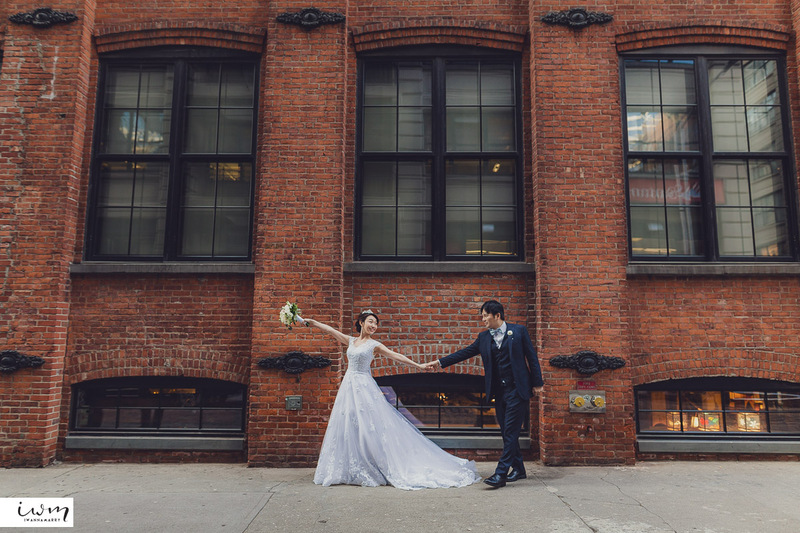 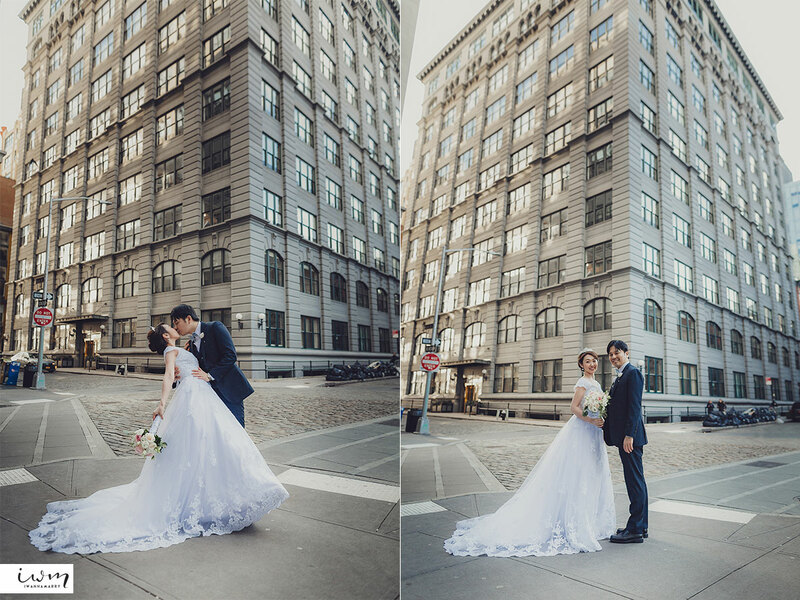 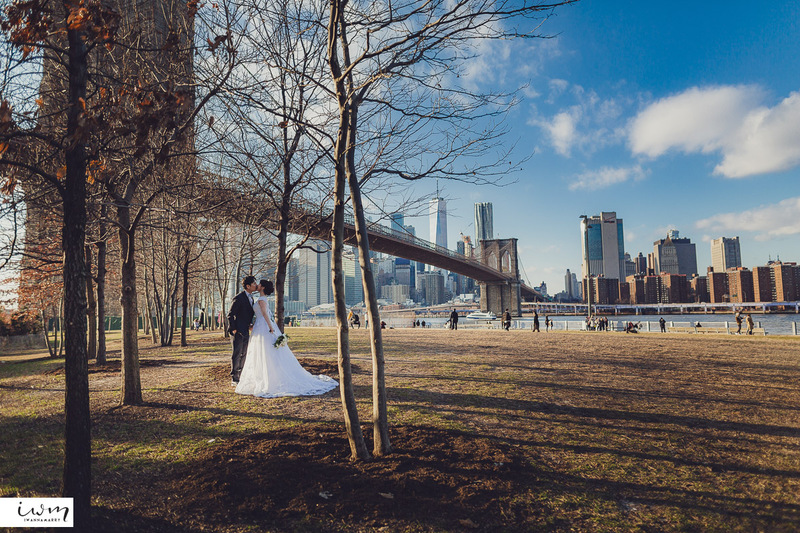 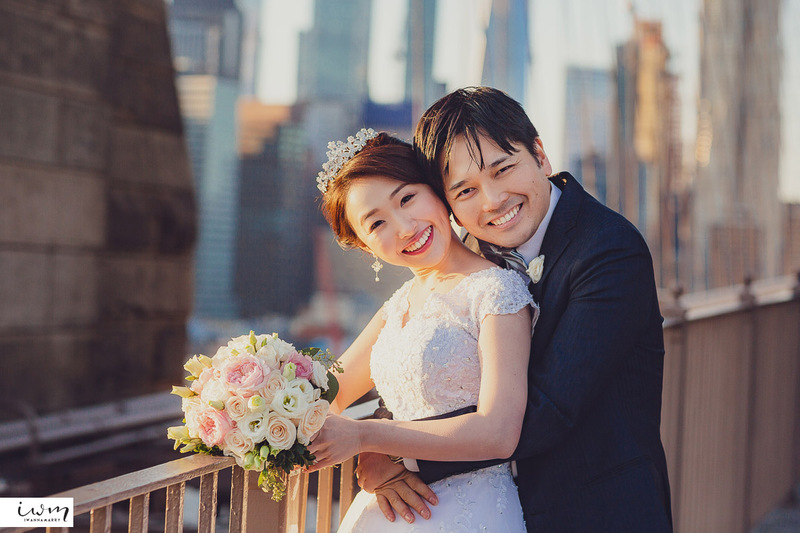 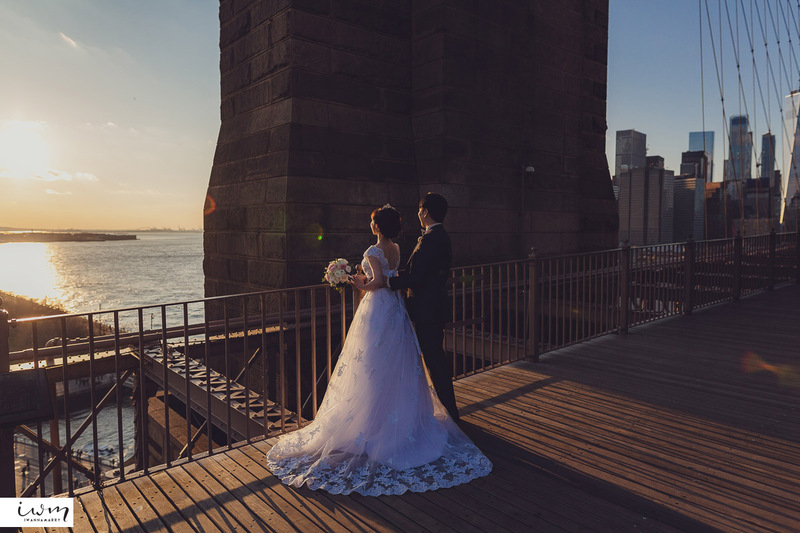 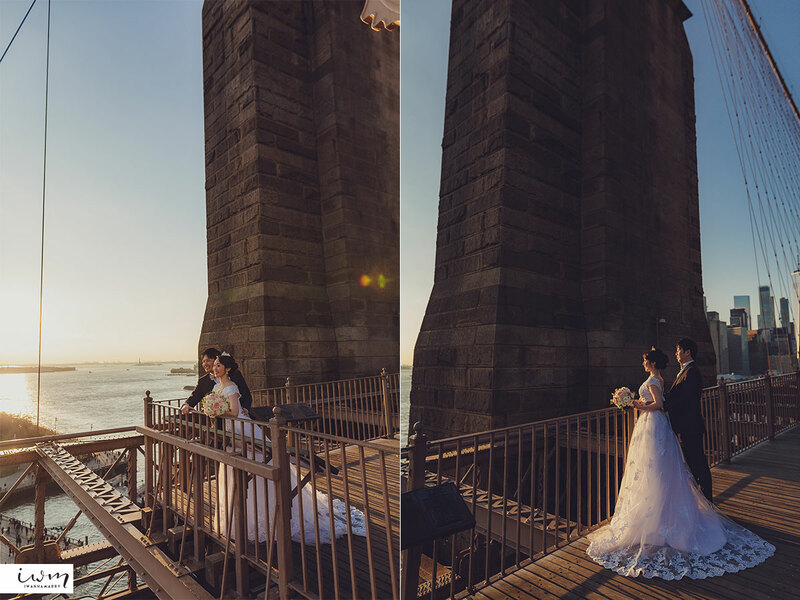 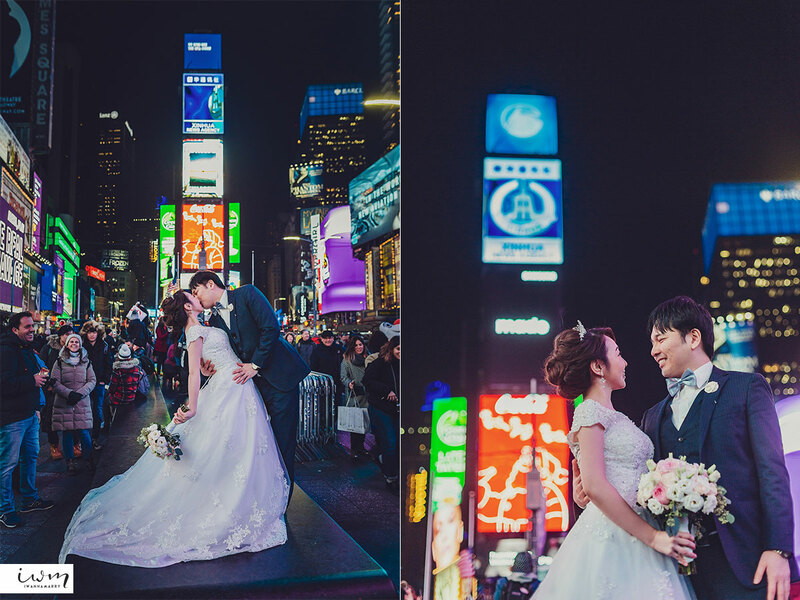 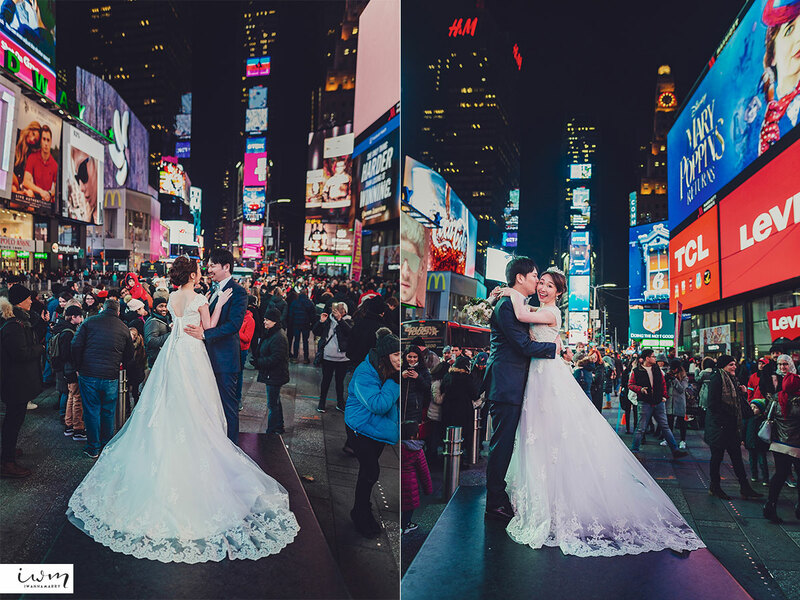 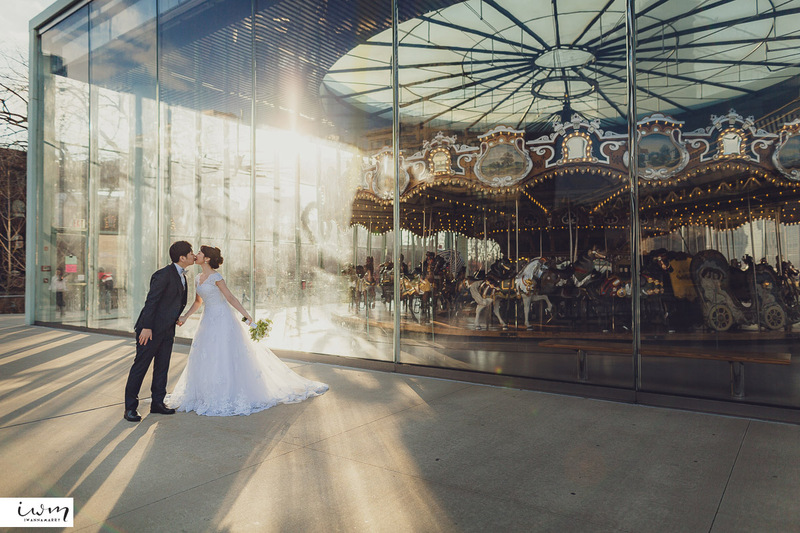 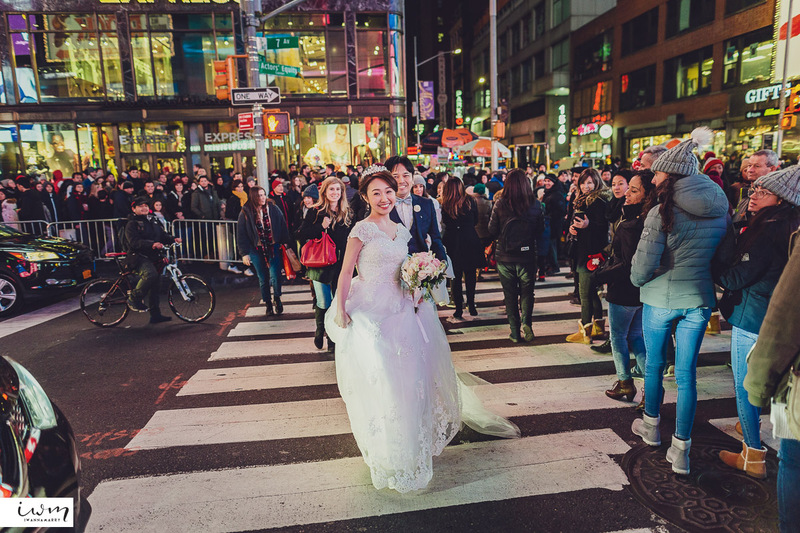 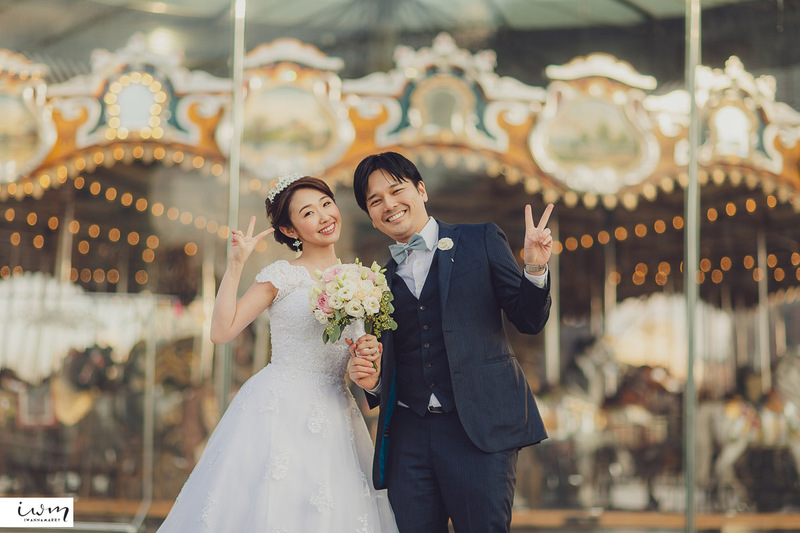 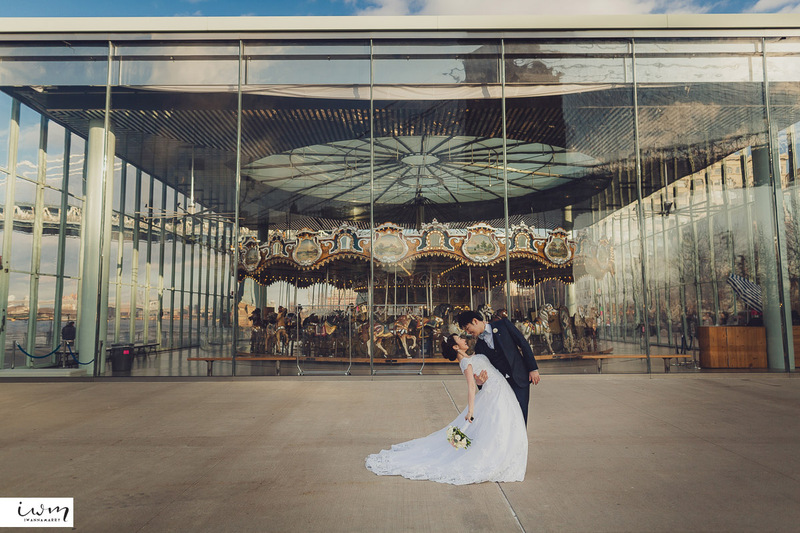 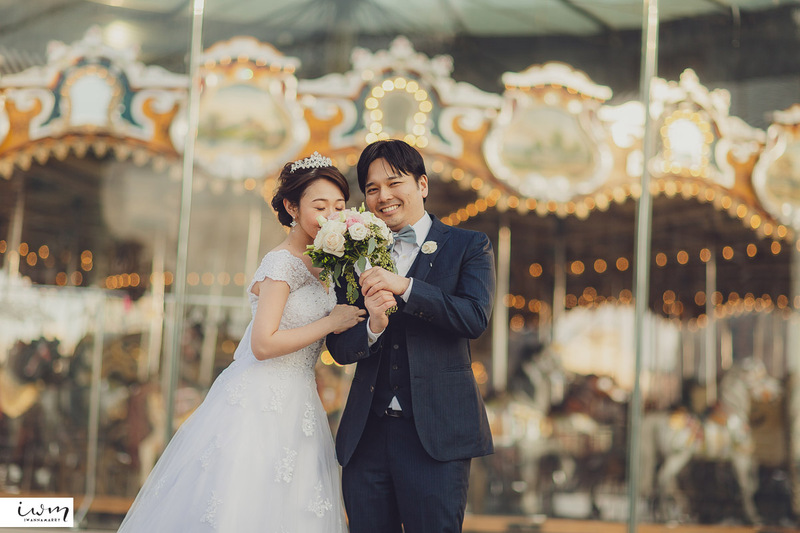 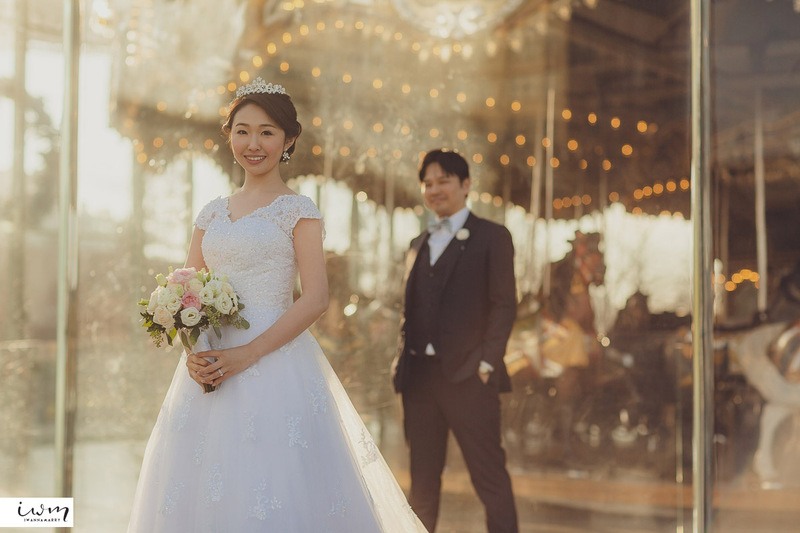 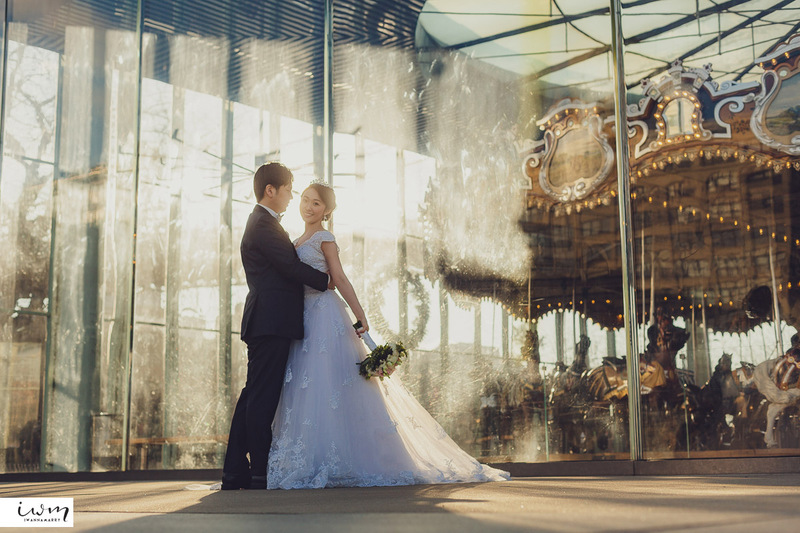 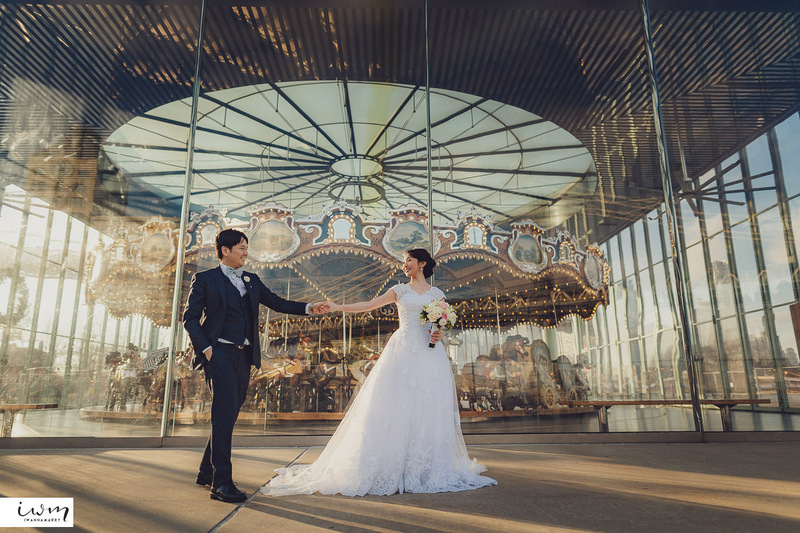 Eri and Genta’s dream engagement photos were to be in New York City. 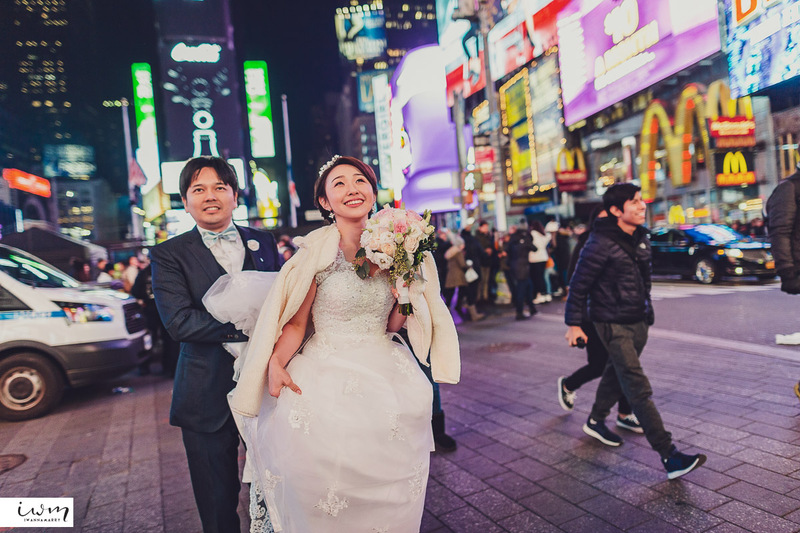 The most iconic shots in New York were what people in Japan really desire, so we were also excited to help them get those locations. 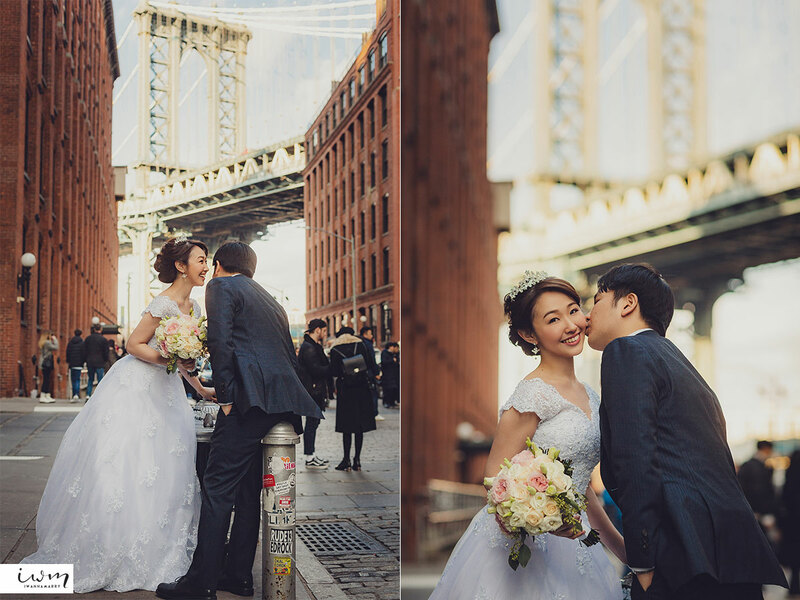 We started in DUMBO and onto the Brooklyn Bridge, and ended in Times Square in the evening with all the bright lights. 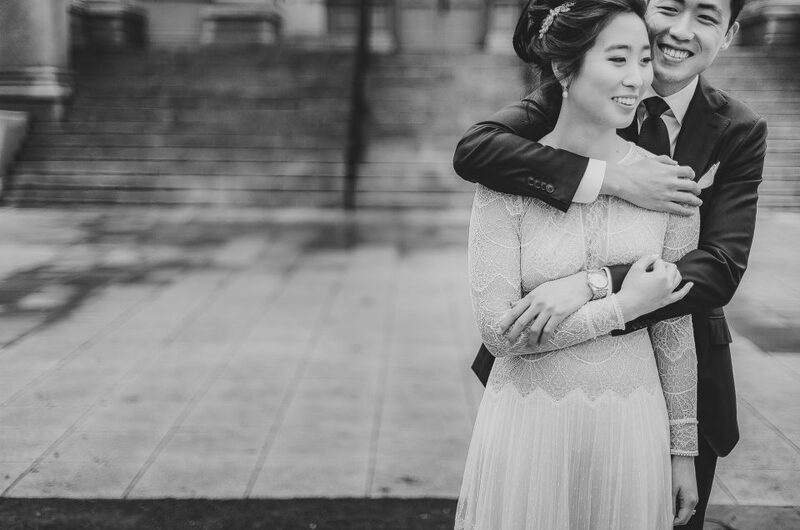 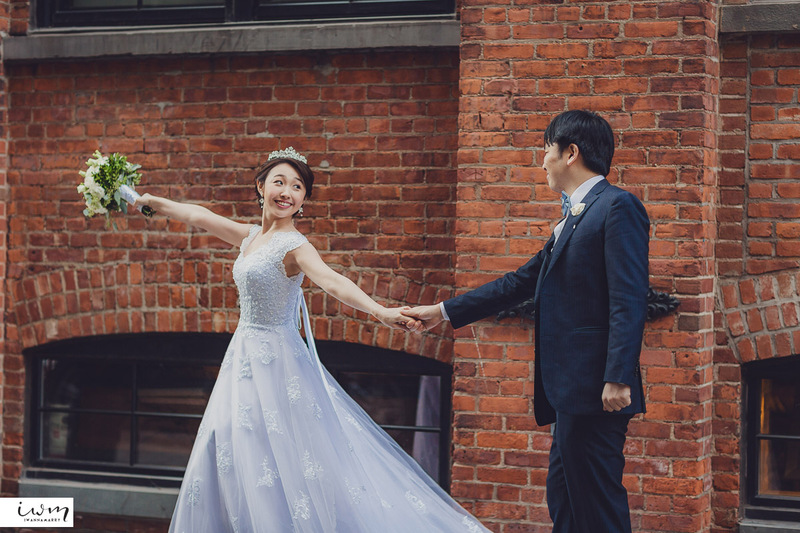 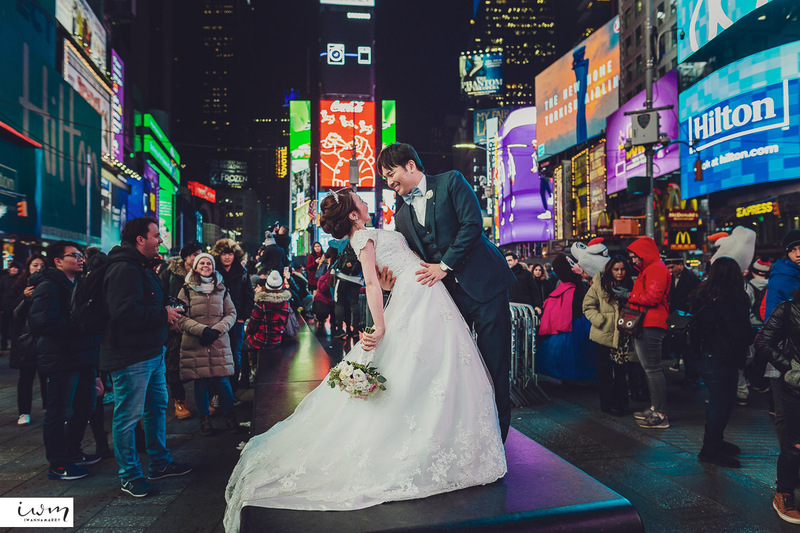 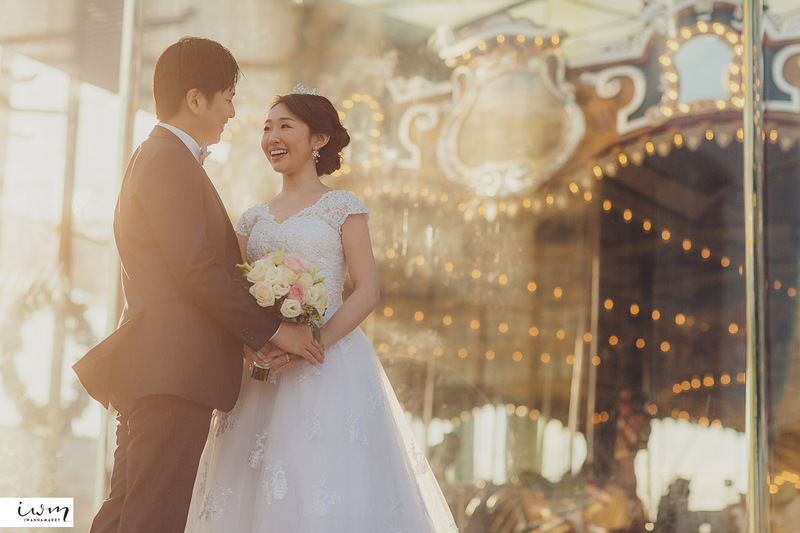 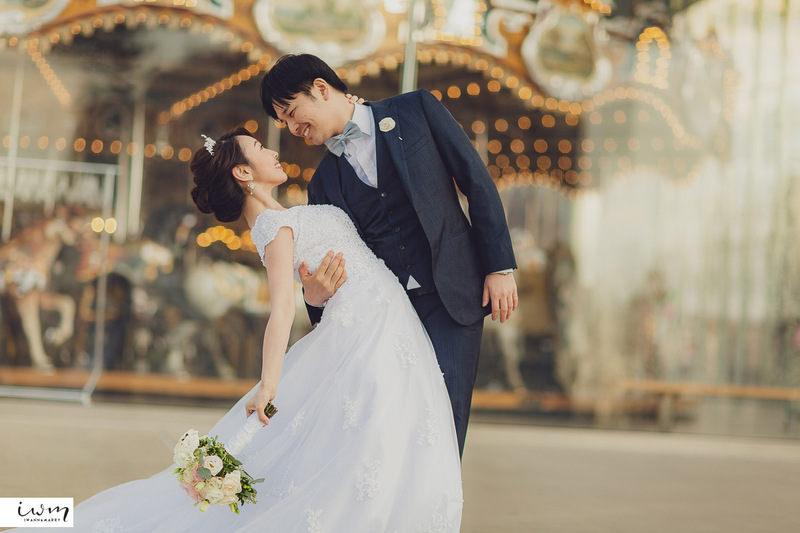 People enjoy seeing a cute couple walking around the streets in full wedding attire, causing a lot of turned heads and big smiles around them. 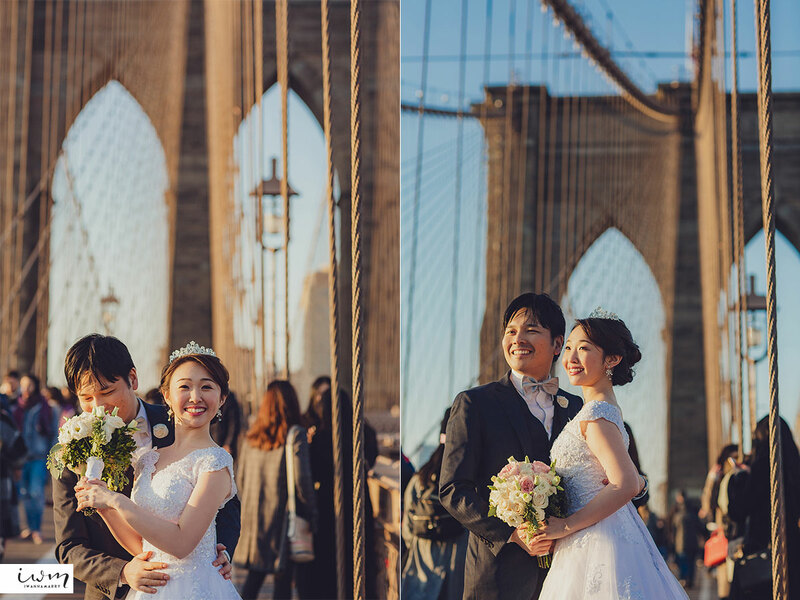 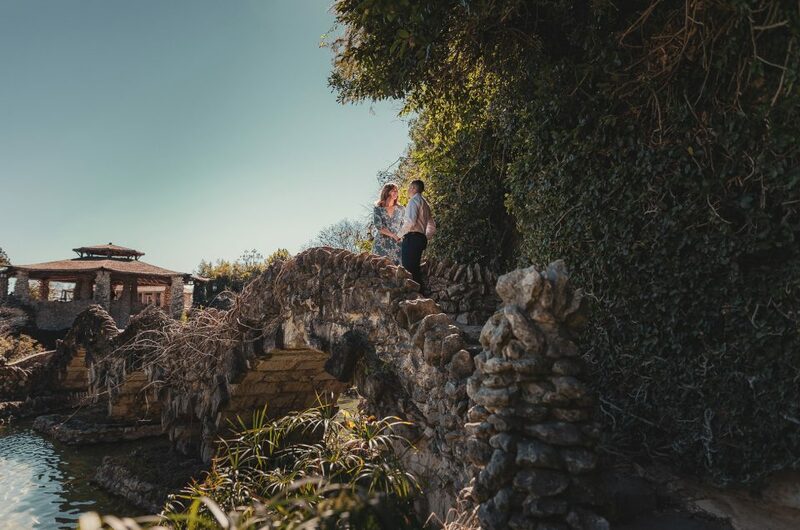 We were really honored that a couple would find us to photograph them halfway around the world!